Sanogo is off to Finishing School…..
New Author 14th January 2018 Arsenal, Exclusive, Premier leagueTagged arsenal, crystal palace, EPL, fans, football, footballers, Gunners, premiership2 Comments on Sanogo is off to Finishing School…..
Poor Yaya. A mere mention of his name is enough to incite resigned sighs and titters that contain little mirth. A stigma has been attached to our dear Postman. As Gus Caesar is synonymous with the mediocre amongst our Gooner circles and Chamakh is forever entwined with shoddy marksmanship – Sanogo has struggled in vain to ditch the moniker of ‘Sanogoal’ that was first bestowed upon him in the first few games of his quest to break his duck for our club. 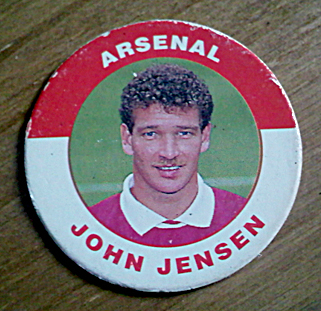 Another former Gunner – John Jensen – had a primate that haunted his every move whilst playing for the Cannon. When he finally scored vs QPR, it was such a joyous occasion that t-shirts were made and every fan that was present on that day had a fantastic yarn to pass down to their grandchildren. 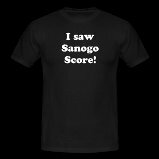 I was present the day Sanogo scored his first for our club. The Emirates Cup haul Vs Benfica, whilst indicative of his overall talent, doesn’t count as a competitive fixture so I’m claiming this. You can read all about the day from a previous article I’ve written here. We are all aware of his strengths and weaknesses. His hold up play is strong, he has pace that beguiles his gangly frame and he links up well with his fellow attackers. His finishing however, lacks conviction. This is where Crystal Palace slot in nicely. A sculptor starts all of their work with a solid lump of material. Slowly, they tease out an image, where corners and flat lines existed – now features and life. Yaya Sanogo is somewhat like a half-finished sculpture. The general idea is now apparent, but the tough part lies ahead. When Sanogo juggled the ball in the box under intense pressure, before exchanging a 1-2 with Santi before dispatching a low shot past Weidenfeller, he exhibited that he isn’t just a roughshod Paolo Wanchope. He has what it takes. Even at his rawest, least threatening, last season – his unpredictable, Bambi-on-rollerskates gait and exemplary control caused panic among defences, most notably Bayern Munich and in the Cup Final. He is a Plan B that we have been crying out for when our opponents are more interested in trench warfare than they are in entertaining the crowd. He is far from a finished article however. Whilst he may be a viable option, to insert him regularly in the first team would only be a hindrance to him. A spell somewhere that gives him time to flourish. Somewhere that he will get chances but the pressure will be turned down just a notch. A place where his graft will earn him just as many plaudits as his scoring rate will. Step forward Crystal Palace. Pardew, despite his often moronic soundbites – is capable of putting out a good side that not only makes life difficult for opponents but also can adapt techniques to reap goals. Crosses, long balls, running from deep. At times he had Newcastle playing some impressive stuff. Palace don’t have the personnel that Newcastle have. They stayed in the League last season thanks to a rigorous work ethic and playing to their strengths – those being set-plays and long balls to a hold-up merchant up-front. Now that the baseball-capped One has upped and left and Pardew has taken over from Warnock ( another who prefers the agricultural approach ), Palace may be targeting a more open approach. Either way, with Puncheon and Zaha / Bolasie on each flank, Sanogo won’t struggle for opportunities. He will deal with the week-to-week grind of a Premiership campaign. He will profit from a sustained run of minutes and all that brings with it. Every ball into his feet or fizzed toward his head will either aid his experience or send him that little bit closer to a permanent move to mediocrity. It may be harsh but many have fallen despite having the talent required to make it. He will get ample chances to hew his finishing at Selhurst Park. If he misses, then he won’t have 50-60k fans screaming at him. It will be the perfect time for not only Yaya, but for Wenger to run the final rule over him. To finally decide if the ‘Postman‘ will deliver. I’m confident that we will see a more complete Yaya Sanogo next season. If I’m wrong ( this wouldn’t be the first time ) then a certain Mr Akpom isn’t here to just make up the numbers. Either way, the loan move to Crystal Palace is a win for all parties. I certainly look forward to seeing how he fares. Now, does anyone know a good t-shirt vendor? Transfer Link Madness – Debunking the Myths…..
Makes for interesting reading for us Palace fans. The goalscoring isn’t essential for us despite the fact we score so few goals . Our biggest loss from last season was Cameron Jerome despite the fact that he managed the grand total of 2 goals , but what he bought to the team was hold up play ,running of the channels and a non stop work ethic closing down opposing teams defenders when we don’t have the ball. Should Yaya bring these attributes to the Palace he will become an instant hero and will help his confidence away from the baying Gooners. Mart, well put, though i didnt expect you to be pining after Jerome! He’ll certainly do what you require. Its make or break for him at Arsenal, but if he impresses he’ll have a tough choice ahead.